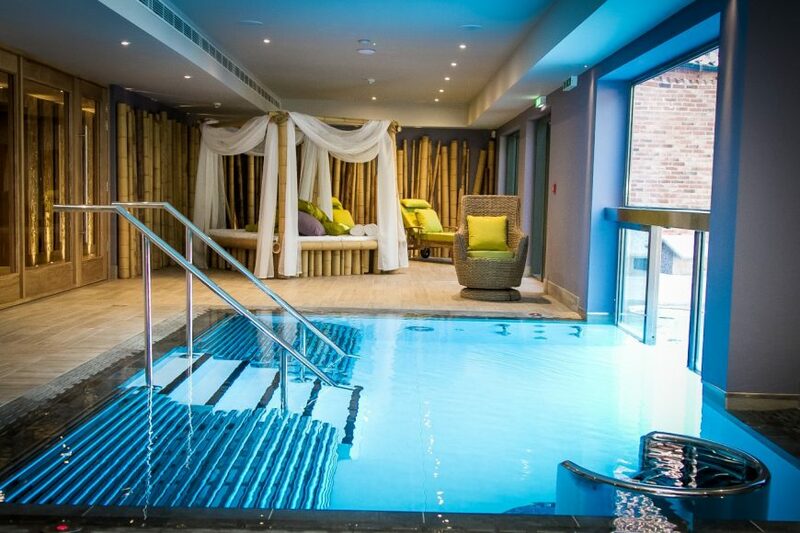 With interiors that combine pure relaxation with the upmost of luxury and dedicated spa butlers that strive to cater to your every need, Ye Olde Belle Spa is set to become one of the UK’s leading spas. Here’s our lowdown on this exciting new launch. Ye Old Bell Spa’s USP is it’s innovative spa experiences. With over ten to choose from, you’re spoilt for choice. Here’s a little taste of what’s on offer; There’s the rare Stonebath which features a hot oven and a cold water cauldron, creating a theatrical outpour of hydrating steam when the mineral stones are lifted from the oven into the cold water. This experience is followed by a traditional Alpine Sauna, a classic spa experience that offers a warm oasis in contrast with some of the colder experiences. You can also be transported to the mountains of Europe with the custom-made completely original snowstorm experience. It’s the first in the world and guests can select from settings ranging from a faint snow shower to a more dynamic snowstorm. Theatrical lighting and gusts of wind are used to amplify this truly unique experience. The hot and cold shower walk, includes a sequence of five showers which feature different ambient lighting and sound. Starting with a warm tropical shower, followed by cool alpine rain, to a warm summer storm, then cold mist, finishing with a cold bucket shower for those who are brave enough to face it! There is an extensive and diverse range of treatments on offer, using the fabulous range of Germaine de Capuccini products. Facials, massages, wraps, exfoliation, anti-ageing treatments, manicures and pedicures are all on the menu. The treatment highlights include a Sperience Elements Aroma Massage, Time Expert SRNS anti-aging facial and the spa’s signature, The lady Priceless Gem (a 120 minute face and body treatment using extracts of precious gems). There is also the Hair Boutique and Express Beauty lounge, which features Roberto Cavalli wallpaper designed with 6,000 crystals, providing express and bridal treatments. To complete the pampering experience, there are two post treatment rooms, one with scenic views over the picturesque surrounding countryside, the other quilted in darkness for those who wish to end their experience with a snooze. A trip to Ye Old Bell is not just a treat for your body, but is also a treat for your taste buds! Lunchtime dining is catered for at The Herb Garden Brasserie, headed up by AA Rosette winning chef Richard Allen. With a modern open plan kitchen/ restaurant design and the choice of alfresco dining in the sweet-smelling herb garden, the Brasserie has all the ingredients for the perfect afternoon dining experience. Ye Olde Belle Spa effortlessly combines traditional and classic spa features and treatments with the modern and pioneering. The stunning décor transpires cutting-edge glamor and style; however, tranquillity and relaxation is not lost in the luxurious aesthetics. With such a diverse range of treatments and spa experiences, Ye Olde Belle Spa has something for everyone and is waiting to be discovered. So go on, what are you waiting for?